Scooping Up Fun At The End Of The Year! Summer is so close you can almost taste it, and with the remaining few weeks of school everybody is counting the days. For most teachers this time of year feels a little crazy as there is always too much work to be done. Making the last week or two fun for everyone while still keeping it educational helps control some of the chaos. So what's more fun than ice cream? Not much! Before you think I am crazy, I do save the real ice cream for the last day or so. However, in the days leading up to it I like to play with the ice cream theme a little bit. The last week or two I try to include activities that won't need to be collected, checked and sent home. 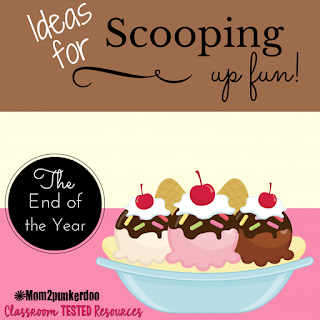 Here are just a few suggestions for scooping up some fun at the end of the year. Matching Games are perfect way to review all sorts of concepts. I especially like to use them for reviewing vocabulary and math skills. 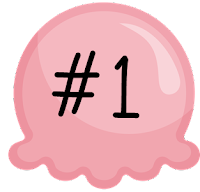 Students can even help you create the games you'd like them to play. All you need is a stack of index cards. Provide a list of words and students can write the vocabulary word on one card, and create a matching card with a definition and illustration on another. The same thing can be done with math facts or history facts. Caption Contests are always fun and good way to get some extra writing practice. Pinterest is perfect for this. With a quick search you can find lots of photo writing prompt boards with lots of pictures that will inspire your young writers! It's a perfect time for students to think about what they have read this year. 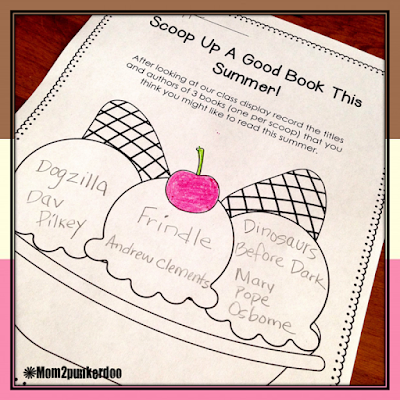 Have them create a "Scoop Up a Good Book This Summer" display to give classmates suggestions for their summer reading lists. Then, have your students create a list of the top 3 books others have reviewed that they think they would like to read this summer. Use this freebie to help create your display. It's fun to make both real and pretend ice cream sundaes. I usually save the real ice cream for the last day or two. 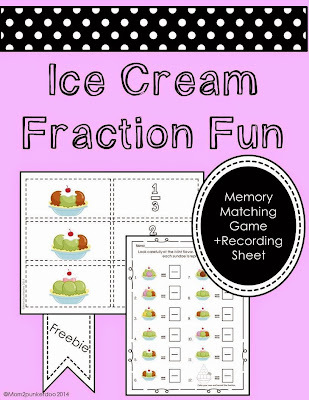 However, this fun fraction review activity has students not only creating their own sundaes they also get to create their own flavors. They love that part! 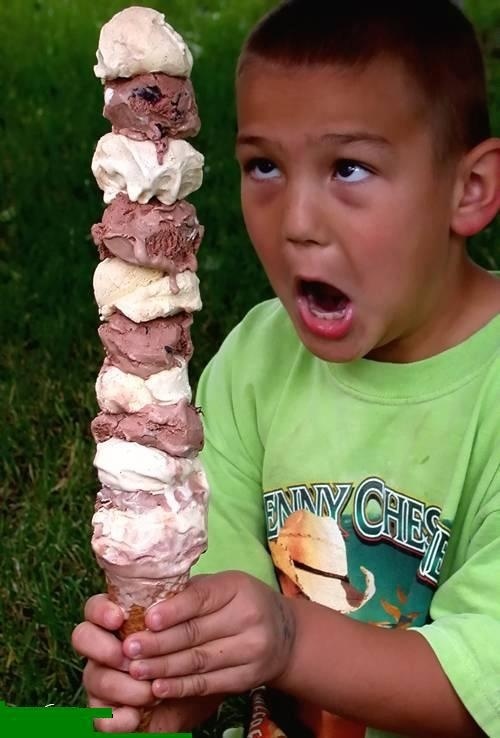 Then, if your school allows it throw an ice cream social! 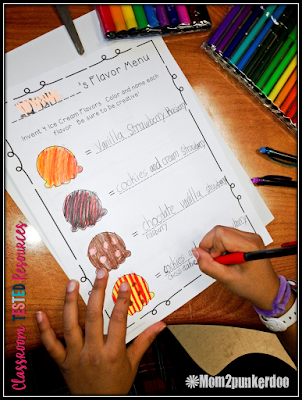 There are lots of different recipes and suggestions for making ice cream in the classroom. 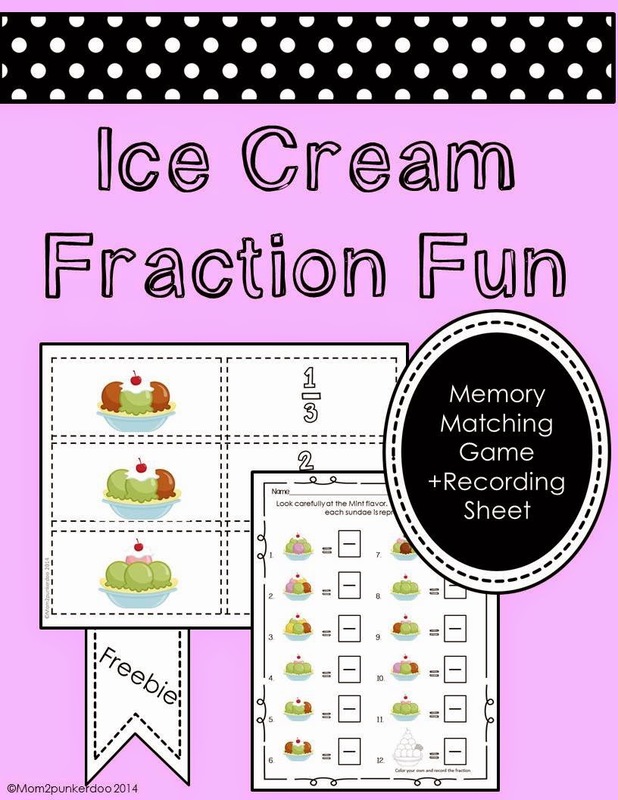 Take a look at my Ice Cream Fun Pinterest Board for some ideas. 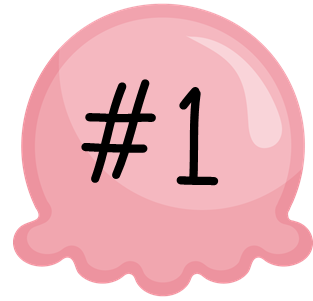 Or go the much simpler route and swing by the market for a gallon or two of their favorite flavors to celebrate the end of a great year! Follow Mom2punkerdoo's board Ice Cream Fun! on Pinterest. Great ideas! Love your Pinterest board!